The HRSS-150 digital full Rockwell digital hardness testing machine integrates Rockwell, surface Rockwell and plastic Rockwell in a multi-functional hardness tester. 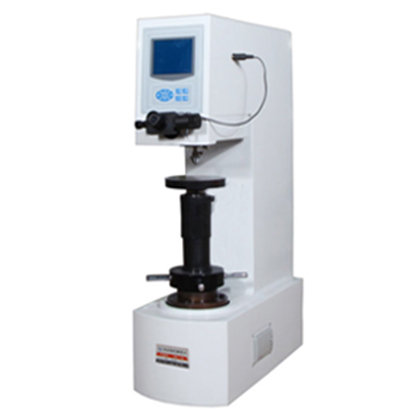 ●The HRSS-150 digital full Rockwell digital hardness testing machine integrates Rockwell, surface Rockwell and plastic Rockwell in a multi-functional hardness tester. The Rockwell (ROCKWELL) measurement principle can be used to measure the hardness of Rockwell, surface Rockwell and plastic Rockwell. 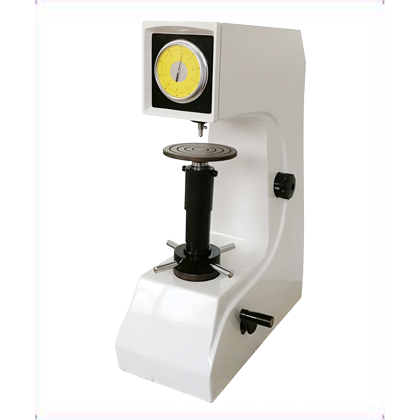 It is suitable for the hardness testing of carbon steel, alloy steel, cast iron, nonferrous metal and engineering plastics. 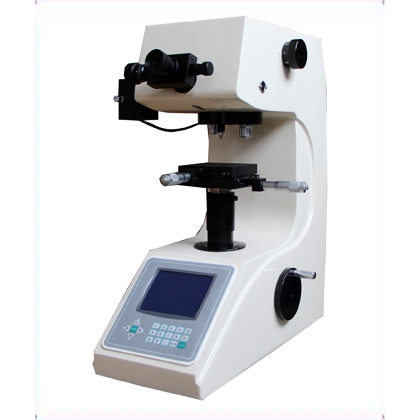 It has the characteristics of high testing precision, wide measuring range, automatic loading and unloading of main test force, digital display of measurement results, automatic printing or communication with external computer, etc. It can be widely used in testing, scientific research and production in metrology, machinery manufacturing, chemical industry, building materials and other industries. ●The product fuselage part is formed by casting process once and has been treated for a long time. Compared with the technology of plate splicing, long-term use of variable shape is very small, and it can effectively adapt to all kinds of harsh environments. ●The electronic closed-loop control exerts experimental force, and fully realizes the automatic operation of test force exertion, dismounting, hardness value display and so on. ●STM32 has the advantages of high frequency, fast running speed, suitable for large data processing and storage. The liquid crystal interface refreshes quickly. The system anti-jamming ability is more stable, more reliable, and lower error probability. The greatest advantage of STM32 can be embedded in the operating system, when the system is disturbed by the external signal to disturb the unstable false machine, You can handle errors by themselves. ●The built-in test software can compensate the hardness of the machine, which makes the adjustment of the trace deviation no longer open the machine cover plate for mechanical adjustment, and reduces the cost of service and after-sales service. ●Insert the printer and read the result of the test. It realizes automatic operation and eliminates manual operation and reading errors. ●Accuracy is in line with GB/T230.2, ISO6508-2 and American ASTM E18 standard. 1. It is widely used for the determination of Rockwell hardness of ferrous metals, non-ferrous metals and non-metallic materials. Please enter a correct verification code. 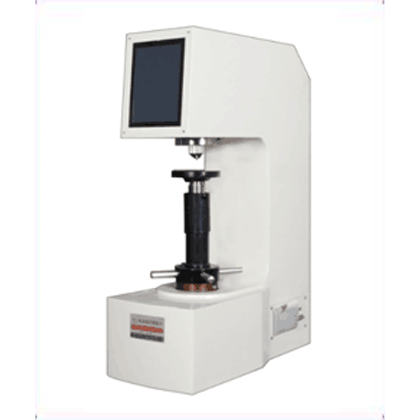 HBRVS-187.5 digital Brinell hardness tester is novel, fully functional, easy to operate, clear and intuitive and stable in performance. It is a new and high technology product which integrates light, machine and electricity. 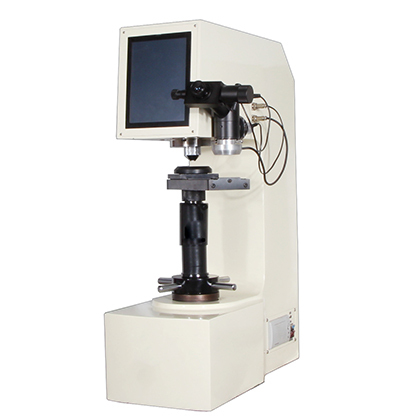 The HV-1000A automatic rotating tower micro Vivtorinox hardness testers can be selected. The special precision design is adopted on the mechanical, optical and light sources to make the indentation imaging more clear and more accurate. It's suitable to determine the Brinell hardness of ferrous, non-ferrous metals and non-metal materials. It can be widely applied in the Brinell hardness testing for heat treatment materials, such as quenching, hardening and tempering, etc. 2019 © Laizhou Henwaii Test Instrument Co., Ltd. All Rights Reserved.